The English FA is looking for the unsung heroes of grassroots football for their 2011 Community Awards. Last year’s ceremony - which took place at Wembley Stadium before the FA Community Shield - was a great success and featured two proud Club Website members recognised for their efforts in their local football community. 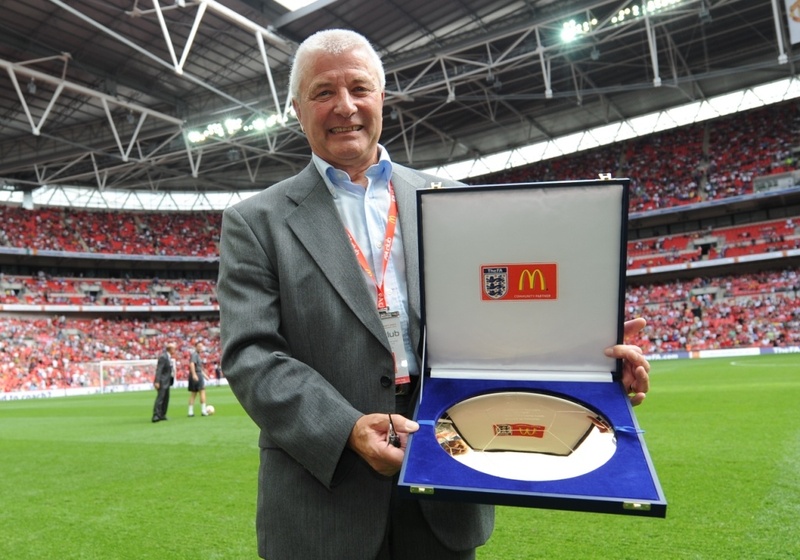 Bill Taylor of Lenham Wanderers FC and the Maidstone Boys Primary League was presented with the FA’s Volunteer of the Year award, while Mike Robinson of Corbridge United JFC was nominated for the Outstanding Contribution award. Both men thoroughly enjoyed their big Wembley day out - as reported here on Club Website - but they wouldn't have got there if they hadn't been nominated. So if you know a coach, volunteer or official at your football club or league who deserves for their hard work and effort to go rewarded, then make sure you nominate them this year's awards. Winners are awarded at a local, county and national level so there is plenty of opportunity for your unsung heroes to be acknowledged. Just like Bill and Mike, winners of the 2011 national awards will get to attend the FA Community Shield at Wembley in August and will be presented with their awards by some of the country’s top football icons. Nominations are made online via the FA website until 18 March and cover each of the categories detailed below. Click here to nominate your unsung hero!